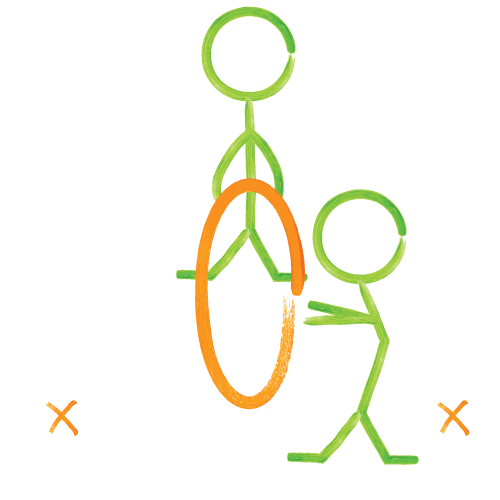 Have your partner hold the hoop on the ground between the two “Xs”. Without touching the hoop at all, slide through the cave, reach down and touch the “X,” and then slide back and touch the “X” on the other side. Do this 10 times and then switch with your partner. 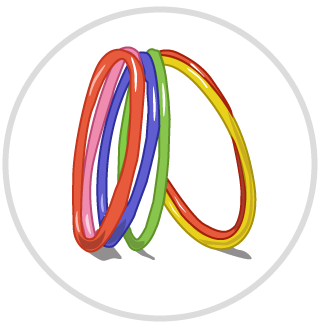 Try using a smaller hoop to make it trickier.